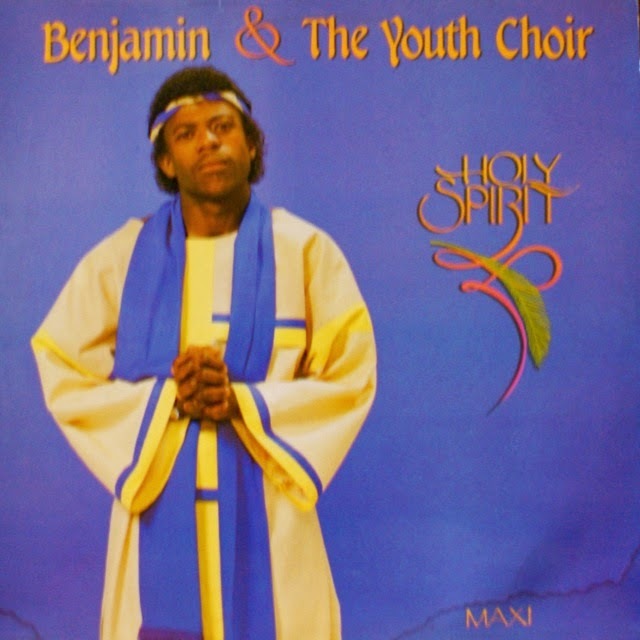 Today one of the biggest names in gospel, Pastor Benjamin Dube started out alongside bubblegum stars at the Dephon label like Yvonne Chaka Chaka and Sello 'Chicco' Twala, who produced this album. Later albums include Celebration (1994), I Feel Like Going On (1999), High Praise Explosion (2002), You Blessed Me Still (2005), All Time Favourites (2006), Looking Back and In His Presence (2007). "Meadowlands-born Bonani Benjamin Dube is the last-born son of evangelists Mrs Grace Dube and the late Mr Benjamin Dube Snr....At the age of 14 he was shocked by the tragic death of his father, but had to continue from where Benjamin senior had left off to complete the race. He did his music diploma in piano at FUBA Academy in Newtown in the mid-eighties. Later with his family as The Dube Family released the album We Are What We Are (Gallo GRC, 1989) produced and written by him...Benny who was a member of Image started his solo career with his debut single 'I Live Joyfully'. 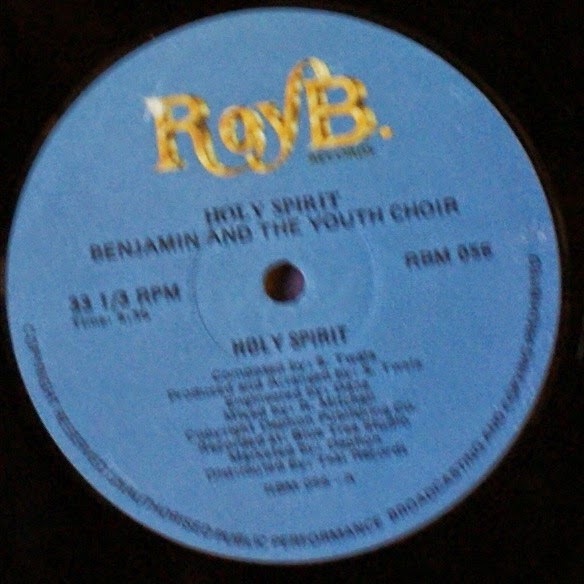 In 1986 he released Holy Spirit as Benjamin and The Youth Choir. It was produced by Sello Chicco Twala at Dephon Records on the Roy B label. The title track which was written by Chicco Twala became a monster hit. 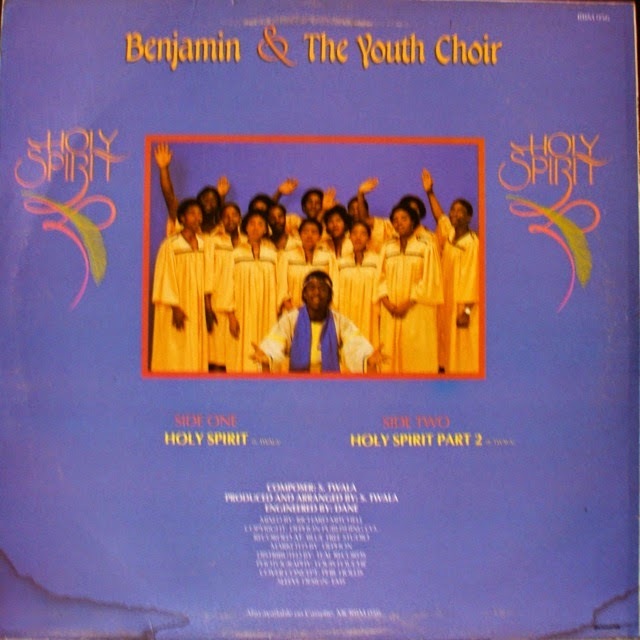 In 1988 when Benjamin released Ebenezer he was already a household name who was invited to be a supporting act for the US gospel star, James Cleveland, when he toured South Africa. He later toured America where he shared the stage with greats like the Mighty Clouds Of Joy and Andre Crouche" (Mojapelo, 2008:332).